UK Pride comes to the Isle of Wight on July 21. 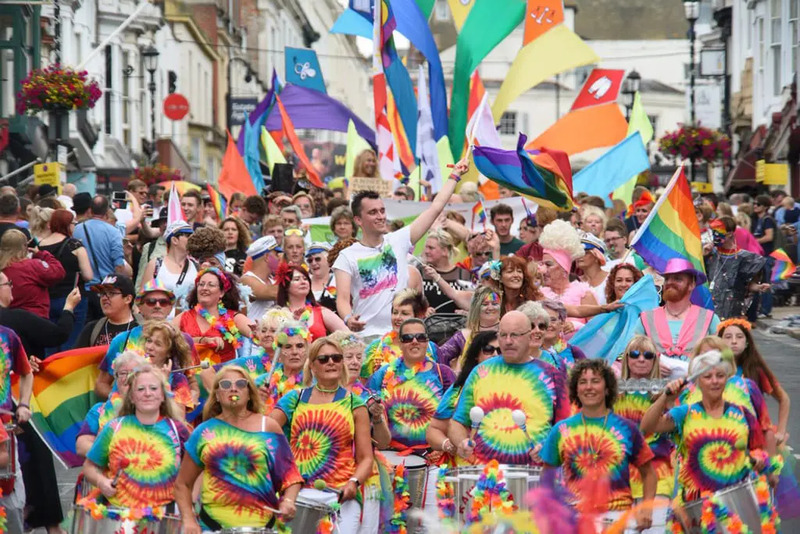 The island, which held its first Pride event only last year, has been chosen to host this event in the Victorian town of Ryde. Fun, inclusive and for the whole family, Pride celebrates the LGBT community, as well as raising awareness of LGBT issues. Enjoy a weekend on the beach, with locally sourced food and live music by the sea. The centre piece of the festival will be a colourful parade through the town ending with a beach party. UK Pride is one component of a whole year of festivities on the Isle of Wight in its 2018 Festival Island campaign. Other events the Isle of Wight Walking Festival (May), The Isle of Wight Festival (June), Lendy Cowes Week and Ventnor Fringe (both August) and the Isle of Wight Literary Festival (October). Is 2018, the year to venture to Ventnor and the rest of the Isle of Wight? For further tourist information about the Isle of Wight and the 2018 Festival Island campaign, visit www.visitisleofwight.co.uk.